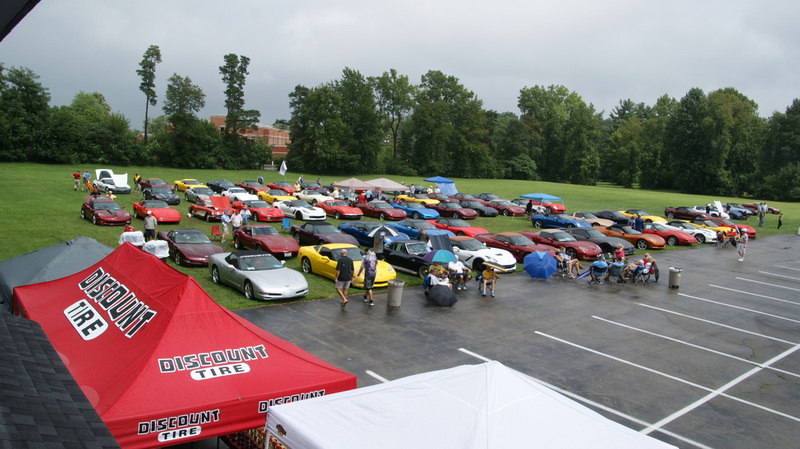 On Saturday August 20 Corvette Indy held their first Penske sponsored Peoples Choice All Corvette show in a number of years. 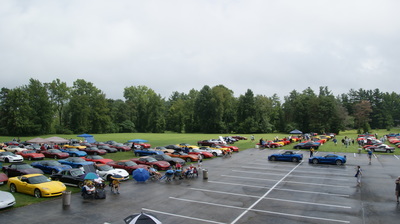 They have been holding club only and then open shows starting last year. 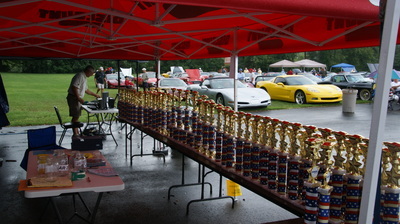 This year in an attempt to promote NCCC competition they added Peoples Choice to the already successful show. 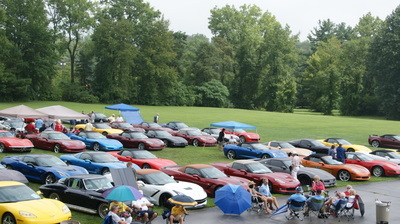 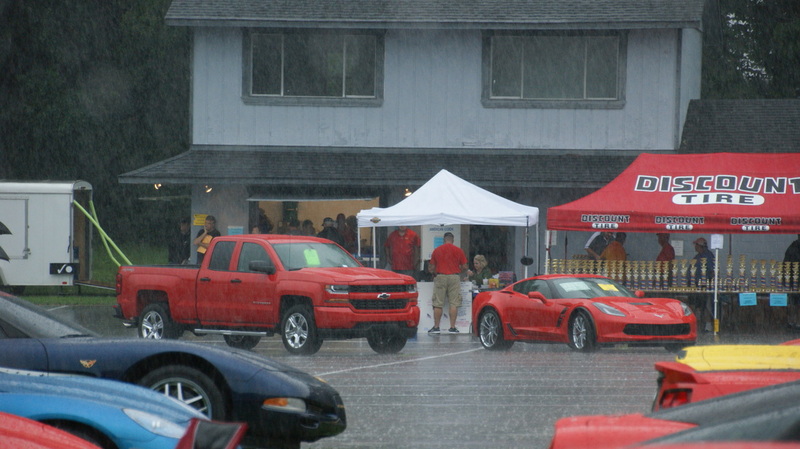 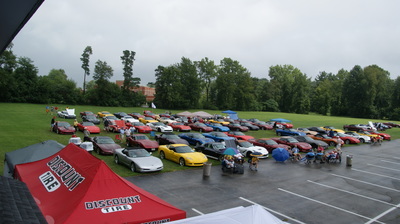 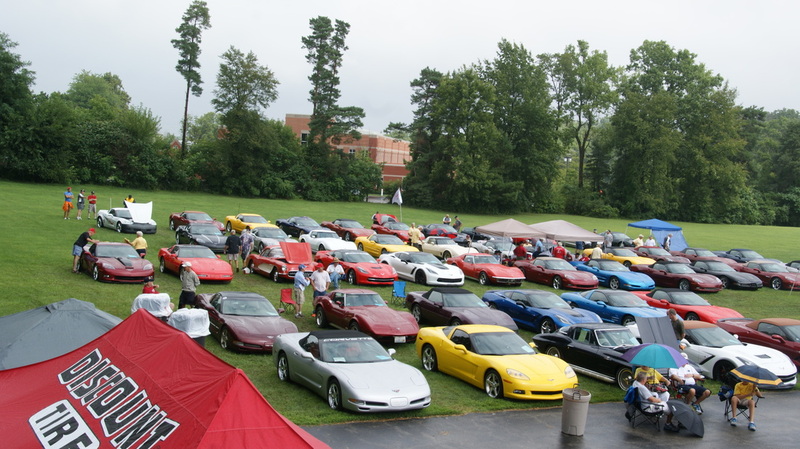 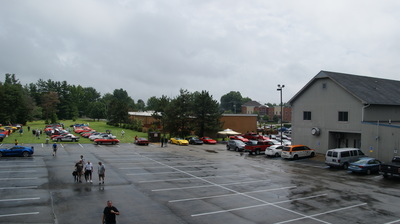 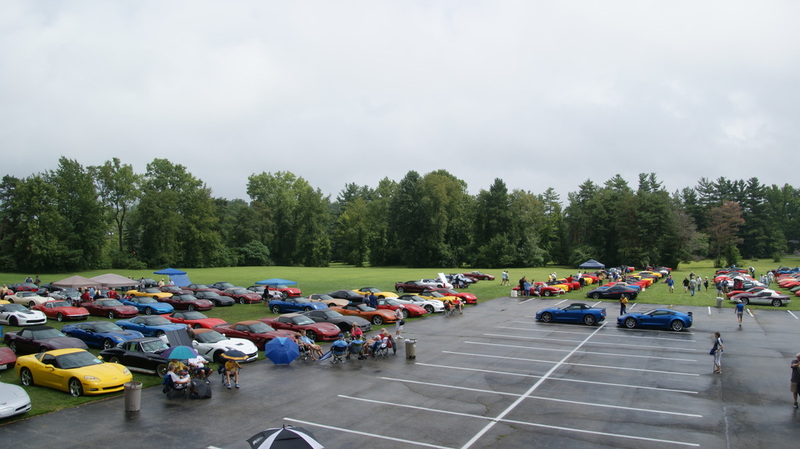 Even with a rainy day there were nearly 156 Corvettes and 17 Corvette clubs in attendance.There was an even split between host club and non club participants. As in past year's voting club members voted for non club entrants and non club entrants voted for the host club Corvettes a fair way for any peoples choice event. There also was basically a double set of trophies including two from the American Legion Commander, one for each group of entrants for the Commander's Choice, the top prizes of the show. With the success of this show on a marginal day look for an even larger turn out at next year's NCCC Peoples Choice show.